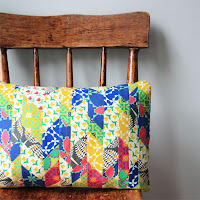 We love sharing projects of our own from Quilting Happiness, as well as projects from readers, new projects and tutorials. 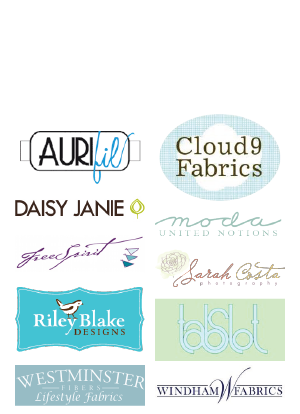 All of these links are gathered here to easily find. 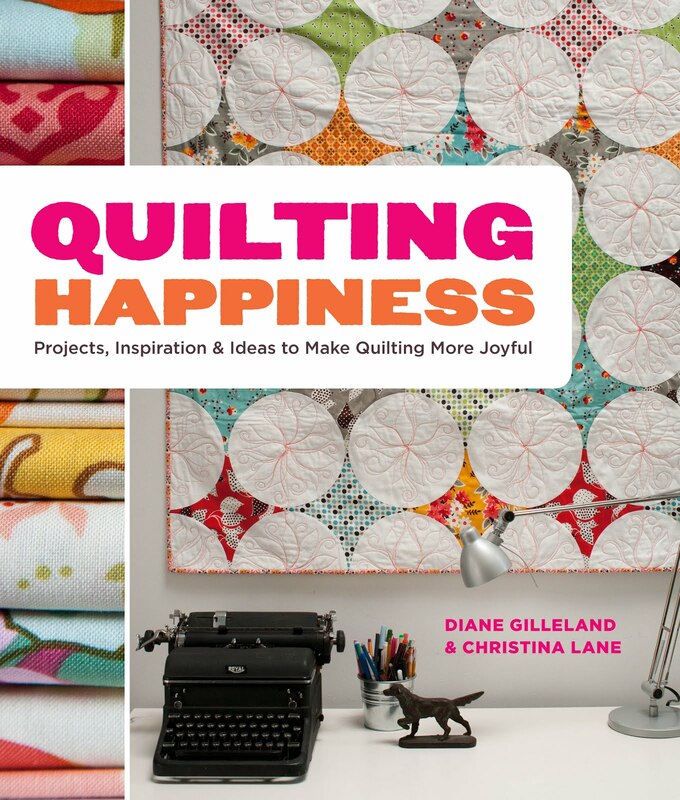 Please be sure to check the Errata page should there be any question to directions from one of the patterns in Quilting Happiness. 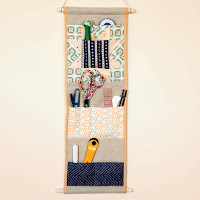 The Pocket Wall Caddy, a free project excerpt from the book, courtesy of MAKE and Potter Craft . 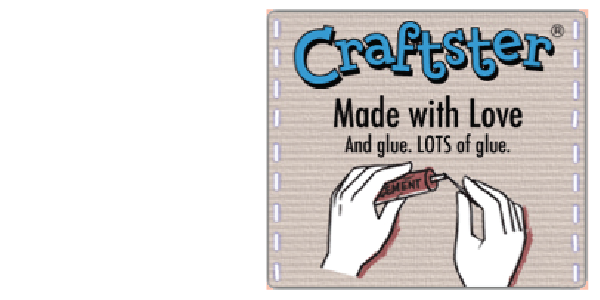 Please be sure to check the Errata page for an edit to this project! 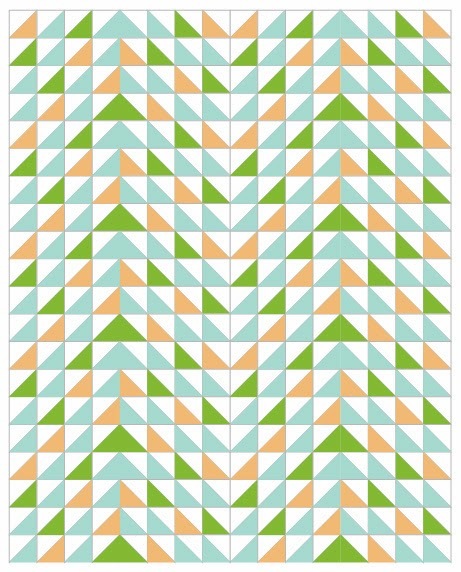 The Interesting Point Quilt Pattern, a free project using the leftover curves from the Points of Interest Quilt from the book Quilting Happiness, courtesy of Christina Lane. 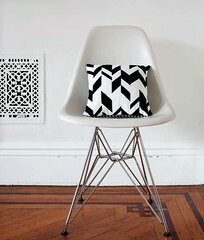 Ellen Baker of The Long Thread made a beautiful version of The Haphazard Chevron Pillow from her fabric line, Folk Modern. 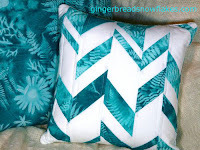 Pam Harris of Gingerbread Snowflakes made The Haphazard Chevron Pillow using sun-printed fabric and ferns from her garden.